You have probably heard about iOS 12 that comes with exciting new features and better performance. People are saying that it is better and you wish to try it. If you haven’t upgrade to iOS 12 and are not sure if you should install iOS 12 now, read on. This guide will help you how to install and uninstall iOS12 if you find it not useful as you expected. Losing your iPhone data during the update is a possibility. This is why keeping the data safe is a requirement. You can back up your iOS device using iTunes. After the update, if you need your data then you can restore the backed-up data to your device. Some of the data you need to put back on your iOS device after the update will require both your Apple ID and password. Make sure you have both of these credentials with you for your update to run smoothly. 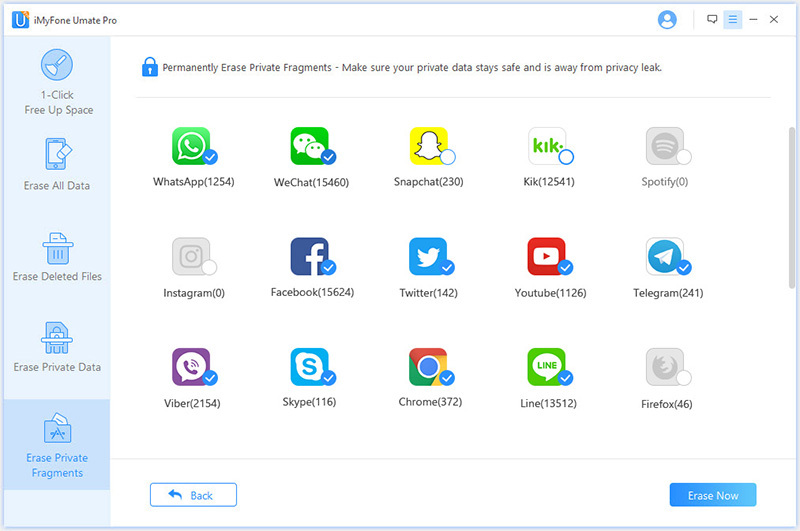 It helps manage your private data better by erasing information completely even in your iOS 12. 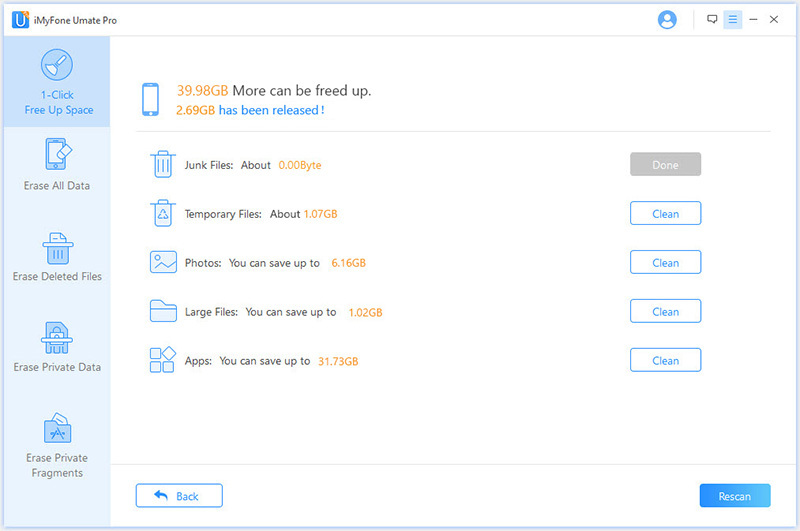 This cleanup method lets you erase all the useless data available on your iPhone. This feature scans hidden junk files, caches, trash, temp files, etc. and erases them. The conventional methods of deleting iPhone data do not erase the data completely. The data is still available on the iOS device and it can still be recovered. Umate Pro will erase this deleted data in such a way even the FBI with their advanced technology can’t recover it. It helps you erase these unneeded data and free up more space for installing iOS 12. Third-party messages and fragments are usually hidden in your iPhone in such a way that you won’t even know they are occupying any of your space. 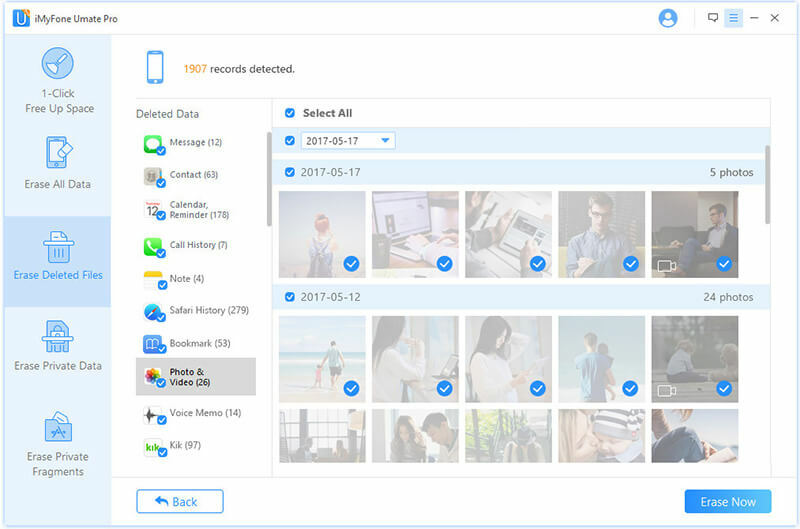 Umate Pro will locate these files and erase them with a zero chance of recovery saving you space and any privacy exposure risk. Step 1: Open Settings, tap General and click Software Update. Step 2: Once the iOS 12 update appears, click Download and Install. 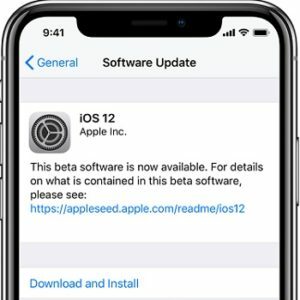 Step 1: Visit https://ipsw.me/ and download the iOS 11.4 IPSW file for your iOS device. Step 2: Next, connect your iOS device to your computer and then launch iTunes. Step 3: On Mac, hold down the Alt key. On Windows, hold down the Shift key. While holding the key, tap Check for Update. Step 4: Choose the iOS 11.4 IPSW file you downloaded in step 1 above and tap Open. Tap Update and wait as iOS 12 is uninstalled and iOS 11.4 installed. Step 5: Enter the password of your device if prompted and then confirm your selection. Before uninstalling your iOS 12, it is important to back up your data. This is so that you can have access to your data if you happen to lose it while downgrading to a previous iOS version. Replacing iOS 12 with an older iOS version will take quite some time. Therefore, you will need to be patient. Downgrading to iOS 10.1/10.2/10.3 is not possible. The IPSW files available at ipsw.me are for iOS 11.4 and iOS 11.3.1. If you have been wondering how to how to install iOS 12/uninstall iOS 12, this article provides you with the guidance you need. To clear space on your device to enable the upgrade, you should use Umate Pro. This tool will erase the data occupying space on your device in such a way that it will be irrecoverable. Before either installing or uninstalling iOS 12, make sure that your device is backed up. This is to avoid losing any crucial data during the upgrade or the downgrade. As an iOS expert, Daniel is highly praised for his effective and helpful solutions to different iOS issues.